A mid-terrace Victorian house has a roof conversion to provide a ‘kid-free’ environment at the top of the house by forresterarchitects in the fashionable Stoke Newington, North London. The traditional London ‘butterfly’ roof has been converted to provide a new master bedroom and twin shower-room to the top of the house. forresterarchitects were given a free rein in the design proposal. 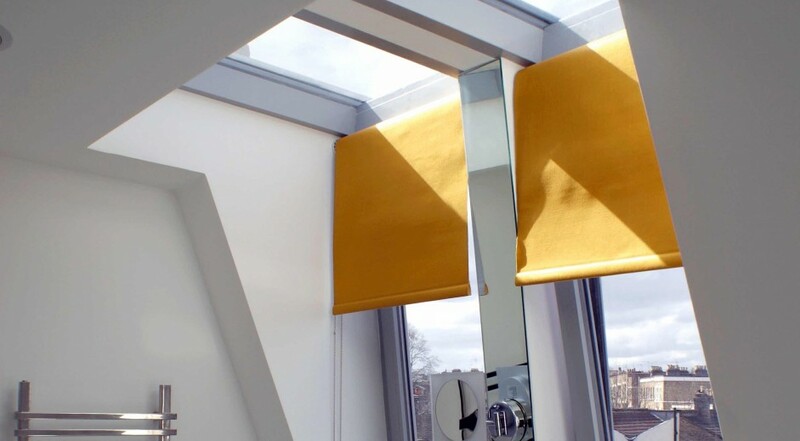 The client was keen to avoid the default mid-terraced dormer extension. 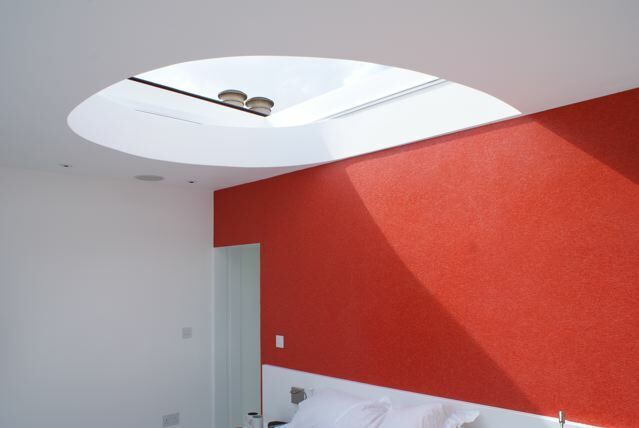 The key design feature, a large oval glazed roof-light, animates the interior of the new master bedroom. It acts like a sundial effect as the sun passes overhead. The roof-light is electrically operated from the king-size bed and in the evening offers unrestricted views of the sky at night. Should the weather take a change for the worse the glazed roof-light closes over. 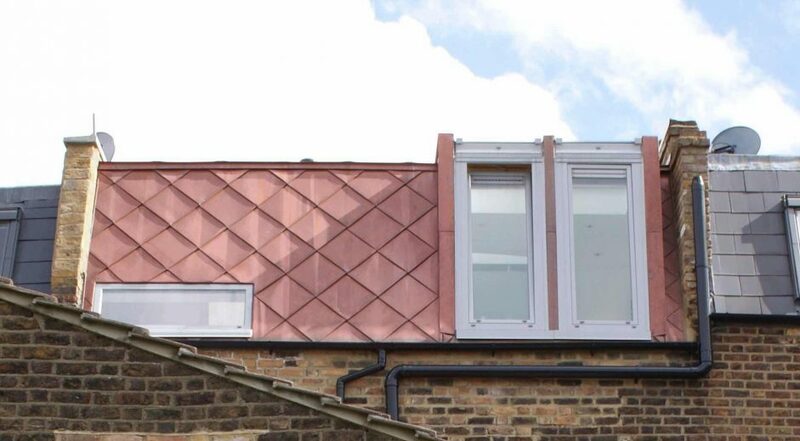 The roof conversion is clad in a natural copper cladding. The copper cladding will change from orange to green in the same manner as the roofs of the traditional roof architecture of London. 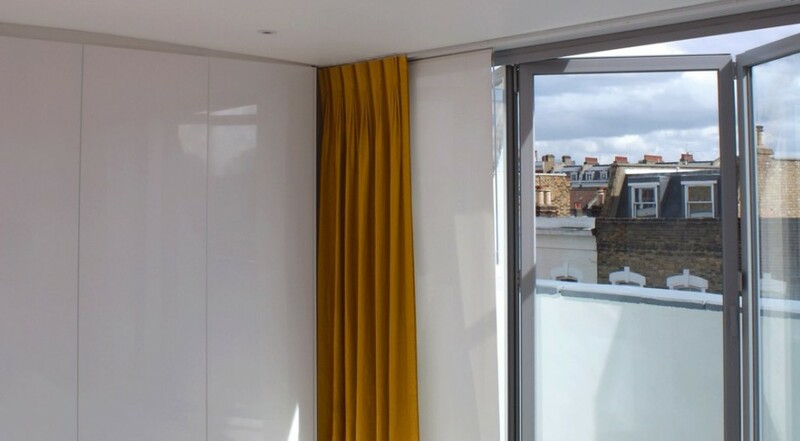 A cool white interior is complimented with flashes of colour expressed in the feature wall. 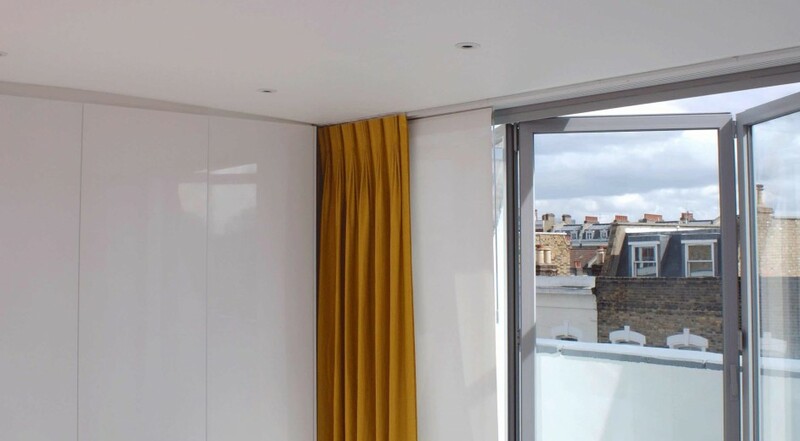 The wall separates the master bedroom from the shower-room. 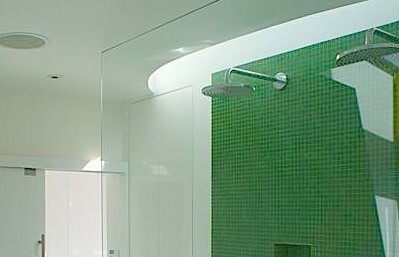 Two enlarged clerestory windows provide increased day lighting to the bathroom. 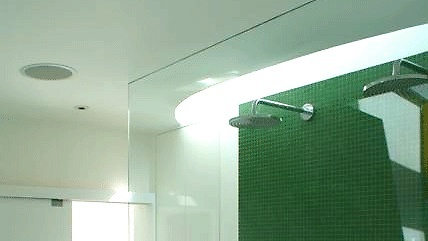 A twin-shower is set against a glass mosaic tiled wall, which provides a key feature to the new master suite. 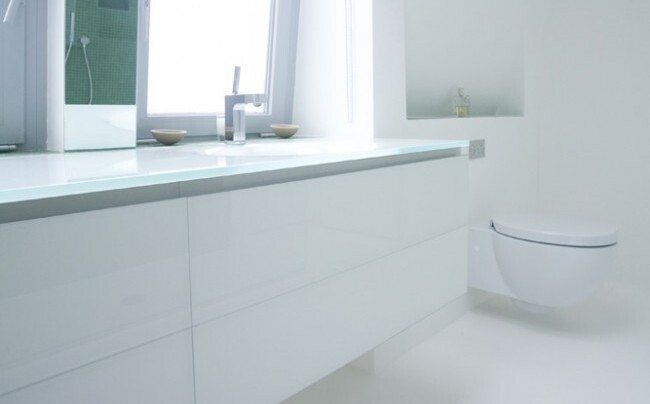 A crisp white resin floor, which provides seamless continuity between the bathroom and master bedroom. An east-facing terrace offers uninterrupted views across the city and an early morning sunrise.